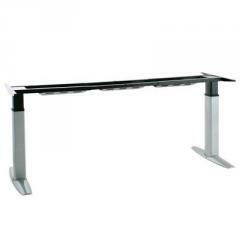 The model of a table 501-27 7S 152-152A ideally approaches as freely standing table. 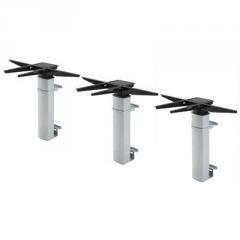 The angular table perfectly will be suitable for the computer, on it it is possible to put several monitors, at the same time a design rigid and you should not be afraid that it will reel and the equipment will fall. 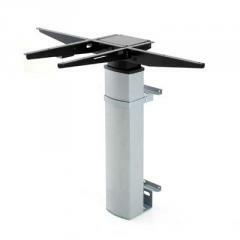 Despite easy design, the frame has the improved maximum load of 90 kg. 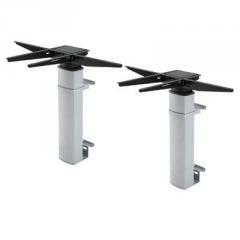 Buying a table 501-27 - you receive function of the automatic switch that ensures additional safety. Frames are painted by wearproof paint on a powder basis executed in gray color. 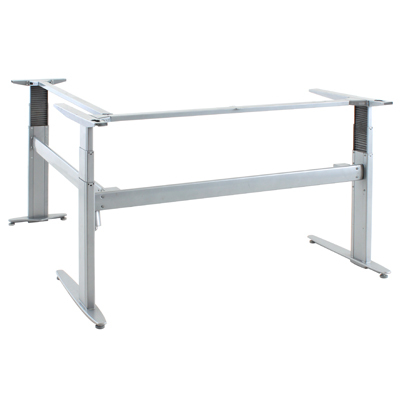 The basis of a table 501-27 7S 152-152A has the loading capacity of 90 kg, on it it is possible to put the heavy computer equipment at office, it is possible to use for assembly on production, and also to use houses as a computer table or a table for the child. At the same time it is possible not to be afraid that the child to lay down on a table. 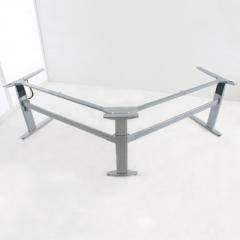 Height of a frame can be regulated under growth as child and adult, even with freight on a table-top. 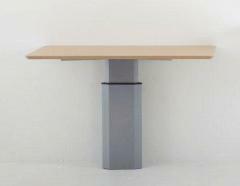 Thanks to regulation height this basis for a table will be ideal for people of any growth. It will be very convenient to use it even to the child. 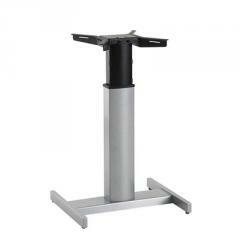 The frame copes with the help of the control unit, it to be under a table-top. To start the movement, up or down, it is necessary to press two the buttons at the same time. It is made especially for safety in operating time. It is so possible not to be afraid if the child presses one of buttons - the table will not begin to move. At an otpuskaniye of one or two buttons the table stops in the chosen situation. It is very important that operation of the mechanism reliable and silent. It is made in Denmark - has the European quality of production. The table is delivered without table-top. 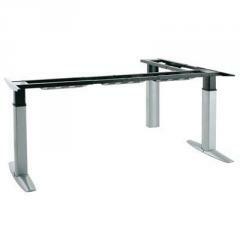 Unbelievable price on Table angular regulated on height 501-27 7S 152-152A in Kiev (Ukraine) company Domolift, ChP.